HSV / The 2012 Nationals are coming! The 2012 Nationals are coming! Pictured: The 2012 Nationals are coming! 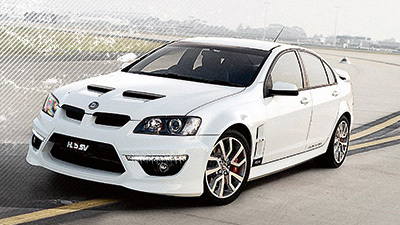 Hosted by the HSV Owners Club of Queensland, the 2012 HSV Nationals are, this year, being held at the RNA Showgrounds Exhibition Building in Brisbane from July 13 – 15. The 2012 Nationals will feature a “show and shine” event, a Dyno Shootout, trade displays, a gala dinner and, finally, a convoy to Willowbank Raceway where entrants will have the opportunity to run their vehicle down the quarter-mile drag-strip. For more information and to register, please visit www.hsvowners.com.au/nationals.